The Section on Balance in Legal Education seeks to investigate, discover, and inspire those practices that support the well-being of law students, lawyers, and judges. The Section encourages research into the conditions that allow students and practitioners to thrive, both personally and professionally, and informs the membership of the Association of American Law Schools about the results of that research. Among other things, Section activities explore the importance of health, compassion, integrity, and ethics to the effective study and practice of law. The Section promotes continual re-examination of pedagogical practices, program content, and institutional priorities to promote the long-term best interests of law students and the constituencies they will serve. I am the Section Chair of 2018. This is our eleventh year of existence, and we welcome your help in cultivating our section and membership. The section’s executive committee is well underway with its planning for the 2018 year. For the Annual Meeting in January 2019, our Program Committee is planning two programs, each related to the theme of AALS President Wendy Perdue’s tenure: “Building Bridges.” Building Bridges is an apt theme for our section as we contemplate and construct connections of all sorts – within ourselves, with others, between work and life, to name a few. At the January 2018 Annual Meeting, we presented two programs on positive psychology approaches and their effect on legal education, lawyering, and access to justice. You may view the recordings on these by clicking here. This year, we will continue to put out our “Equipoise” newsletter, which has a beautiful template created years ago by Professor Amy Bushaw. We hope to have two issues this year. We also will continue with our Topic Calls, which are conference call presentations by experts. We hope to have one each semester. Look out for our announcements and how to dial in. Along with Topic Calls, we hope to institute our Works-in-Progress Calls, which will ask audience members to review and provide feedback to the presenter’s ongoing writing project. We also hope to launch two initiatives that have been in the works: (1) an oral history project, which we will start by assembling some of the founding members of this section, and (2) a mentoring project. For all of these, we need help from the membership. Volunteering to jump in is a great way to learn about our section and the issues that matter to it. Thanks for reading this far into my letter. Don’t hesitate to get in touch. 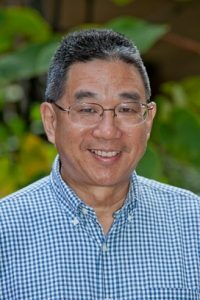 I may be reached at calvinp@hawaii.edu or at (808) 956-7474.